On February 5, Windward invited award-winning makeup artist and designer Denice Paxton to campus. 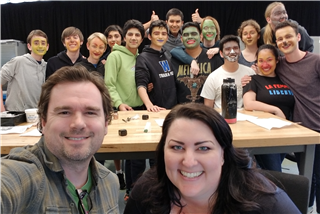 Denice, a regional theater professional whose makeup design credits include “Shrek The Musical”, “Young Frankenstein”, and “Beauty and the Beast”, was on hand to walk Will North’s Theater Technology and Production class through an extensive design workshop. 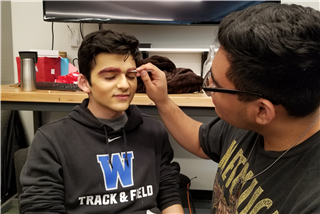 In advance of May’s Spring Musical, “The Wizard of Oz”—whose makeup Denice is designing— students in the class planned and applied their own versions of various Wizard of Oz characters. 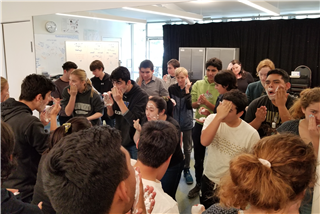 The resulting visages were as creative as they were carefully crafted, a great showcase of Windward's commitment to providing students with access to professionals at the top of their fields of interest. Thank you to Denice for such a fun and informative exercise!